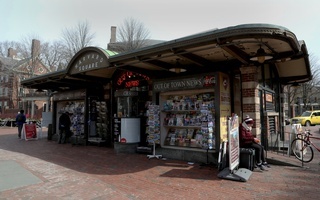 The Harvard Square kiosk and T station elevator in front of Out of Town News are slated for construction. 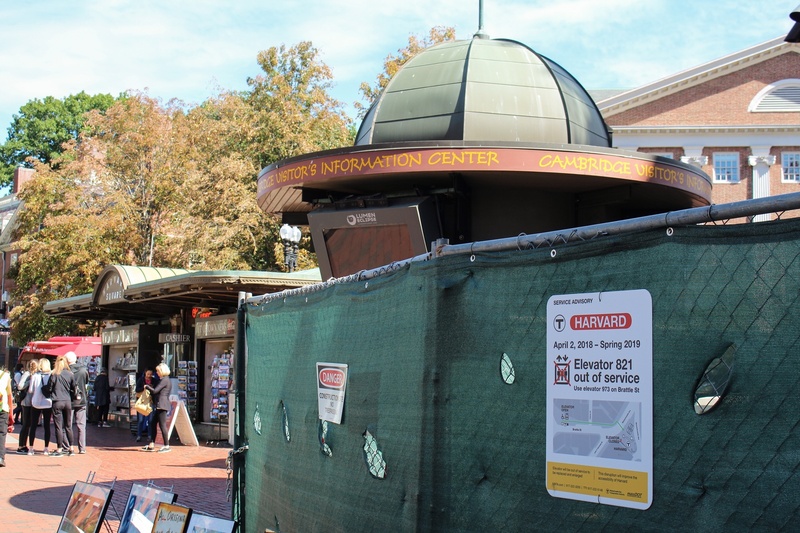 The plaza at the heart of Harvard Square will soon be under construction to both renovate the elevator outside the Harvard Square T station and restore the historic Out of Town News kiosk. Denise A. Jillson, executive director of the Harvard Square Business Association, said the elevator construction project is intended to make the Square and T station more accessible for people with disabilities. Additionally, In 2006, the MBTA settled a lawsuit in which it promised to update the elevator. Cambridge Vice Mayor Jan Devereux said she was satisfied with the MBTA’s work on the elevator so far. Devereux said the MBTA will also be renovating the tunnels of the station's underground bus terminal starting in the summer of 2019. 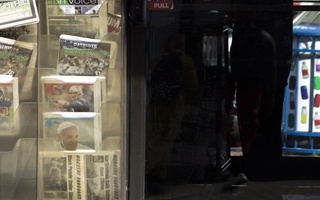 Concurrently to the MBTA updates to the plaza, the Cambridge City Council is in the process of planning the restoration of the Out of Town News kiosk, a long-time Square staple. Devereux said a working group is currently developing plans to repurpose the current building, which has served as a news stand since 1984, but dates back to 1928, when it was the entrance to the subway. Despite this, the city plans to maintain the kiosk’s recognizable appearance. “You can’t change a brick. Nobody would want to,” Jillson said. Devereux added that Cambridge will also be modifying other parts of the plaza. In particular, the current information kiosk will be removed. These changes are intended to make the plaza a more open place for visitors, Devereux said. 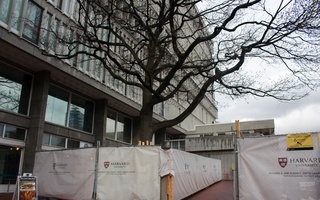 Suzanne P. Blier, a Harvard professor and president of the Harvard Square Neighborhood Association, wrote in an email that the MBTA should also redesign the entrance to the Harvard T station while construction is underway in the plaza on these other projects. 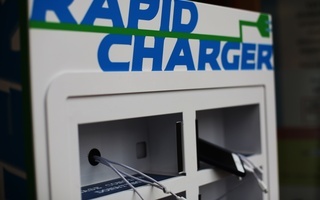 “Since the redesign of the kiosk plaza is about to get underway, now would be an ideal time to replace the MBTA entry as well,” she wrote. Devereux said she too wants to see both the T station headhouse and the escalators into the T station restored in the future. A previous version of this article misstated the job titles of Suzanne P. Blier. It has been updated. Needless to say, the Council, as well as those involved in further discussions, should be mindful of the attitudes that the people who live and work in the Square have towards its cultural and historical significance.